FAN of Shah Rukh Khan failed on a subsequent day after record-breaking initial release. 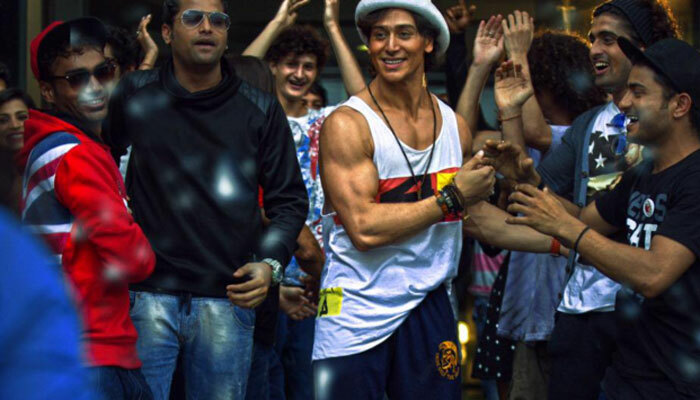 Baaghi box office sustains on the similar pace during the second weekend day also. The Sunday collections of Baaghi Movie was greater than of FAN. Although observing the international business, SRK’s film is still a blockbuster. Baghi was released with a great opening with 11 crore rupees collections at the BO which subsequently followed by the same figure on Saturday. Sunday, being the first day of May Month and a holiday itself was better for a movie to succeed at the BOC. Film opened to 30% occupancy overall, but the chance changed its direction for mass centers. The film is observing the huge craze in smaller centers and apparently its average in cities which was expected earlier. Film had improved occupancy reports overall from evening onwards. Tiger Shroff and Shraddha Kapoor’s starrer Sajid Nadiadwala film ‘Baaghi’ opened across 2750 screens in India and 344 screens overseas nearly. The film was dropped a bit on Saturday, but up to 5% reduction is very much expected and accepted. Since it was the month’s end, the movie had performed better overall. Film also did excellent 8,50,000 $ (5.90 cr) in overseas in first two days. The amount was better than many Hollywood movies on Sunday. As expected the most of the response was positive including a huge portion of the UAE and USA. On Sunday, the film performed well because of multiple factors and collected around 13 crore rupees. The total domestic collections of Baaghi for the first weekend was around 36 crore rupees in total. Previous articleThe Flash Season 2 Episode 21 (S2E21) Spoilers: Promo and Air Date For ‘The Runaway Dinosaur’; Will ‘Kid Flash’ and ‘Jesse Quick’ Save The Central City? maine is film ko 2 times dekh liya only 3 days mai…aur bat mai 2 dekhunga tiger rocking action…. one of the best action acter tiger shrof in hindi film industry…. Nic novie and also very good collection in first 3 days…. Going to watch it again for 2nd time in novo cinemas.. It seems to create a great buzz and could be MPK of 1990-91,great guns.Give good fight to coming Hollywood movies this month. Is not some songs shown in promos missing.why so? what a fantastic movie from sir Nadiadwal and group.songs and action is super duper.Iam jabra fan of shradha and tiger shroff.your jodi is super. This is a great entertainment movie..love romance…nd powerpacked action..too good..tiger in the action role is the mast..bas cha gaya guru..with martial arts.. I m.also a trained with black belt..so I know how tiger done the action seen..
Great movie to watch..nd tiger nd shradda awasome in his role.. He realy acting like to be a superstar…. Baaghi is the 1st bollywood action movie i have ever seen.wow what a performance tiger u r just great m a big fan of urs initially from ur first film.so keep it up and keep entertaining us…ill be eagerly looking forward to ur upcoming movie…..love you…..